The main objective of soccer, one of the most popular sports in the world, is to score a goal, and to achieve this, two teams of 11 players each chase the football for 90 minutes without getting tired. 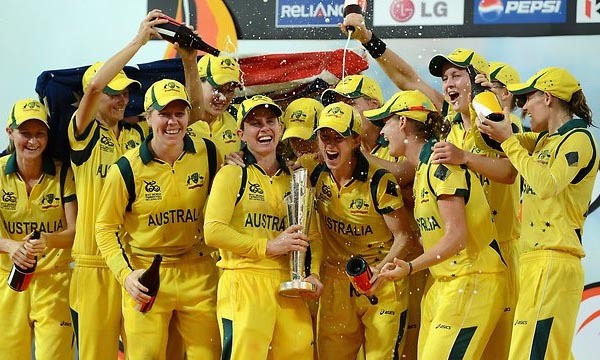 The more goals a team manages to score, the greater are its chances of winning. Soccer players hone their talent and develop exceptional skills to handle the ball, so that they can display great games in front of the world, and gift them some exceptionally achieved goals. The biggest tournament in the sport is the FIFA World Cup, and this is where the players smash the biggest goals of their career. Let’s take a look at the 10 Footballers with Most Goals in FIFA World Cup. Former Polish football winger Grzegorz Bolesław Lato was widely regarded as one of the most prolific goalscorers during the golden era of Polish football. Besides his football career, he was also a senator member of Democratic Left Alliance from 2001 to 2005, and was elected as the President of Polish FA on 30th October 2008. 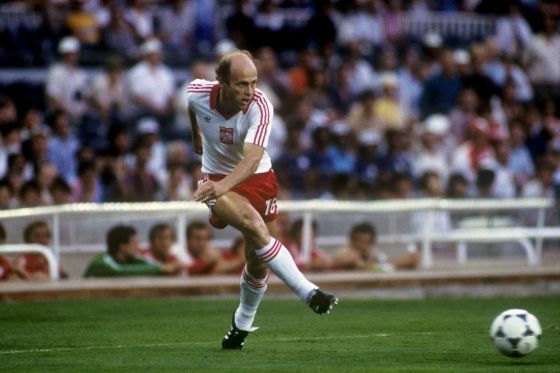 Grzegorz Lato participated in the FIFA World Cup three times in his active football career in 1974, 1978 and 1982 as a key member of the Polish national football squad. He scored 10 goals in 20 World Cup matches he ever participated as a member of the Poland football team and is inducted in the tenth place in our list of 10 Footballers with Most Goals in FIFA World Cup. Grzegorz Lato has a superb average of 0.50 goals per world cup match in his active football career. 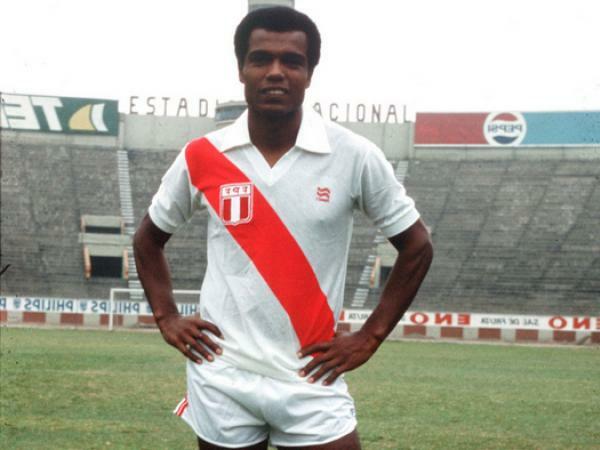 Former Peruvian footballer Teófilo Juan Cubillas Arizaga, nicknamed “El Nene” or “The Kid”, was named as Peru’s greatest ever player in an IFFHS poll. 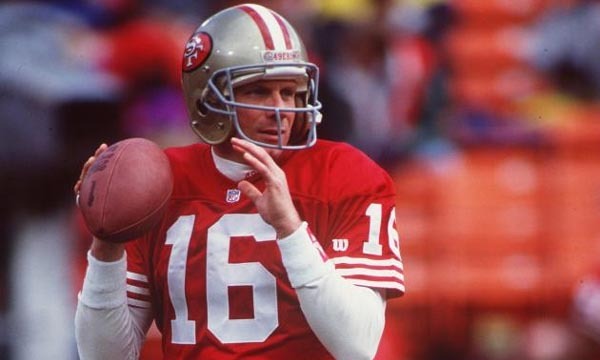 He was also named among the world’s Top 50. He was a leading member of the Peru team that won the Copa América in 1975. Teófilo Cubillas participated in the FIFA World Cup three times in his active football career in 1970, 1978 and 1982 as a key member of the Peru national football squad. He scored 10 goals in 13 World Cup matches he ever participated as a member of the Peru football team and is inducted in the ninth place in our list of 10 Footballers with Most Goals in FIFA World Cup. Teófilo Cubillas has a superb average of 0.77 goals per world cup match in his active football career. Former German football player Helmut Rahn, nicknamed “Der Boss” or “The Boss”, scored the winning goal in the final match of the 1954 FIFA World Cup where West Germany defeated Hungary by a 3-2 score. He played for several clubs in his career which include Rot-Weiss Essen, 1. FC Köln, SC Enschede and Meidericher SV. Helmut Rahn participated in the FIFA World Cup twice in his active football career in 1954 and 1958 as a key member of the West German national football squad. He scored 10 goals in 10 World Cup matches he ever participated as a member of the West Germany football team and is inducted in the eighth place in our list of 10 Footballers with Most Goals in FIFA World Cup. Helmut has an amazing average of 1.00 goals per world cup match in his active football career. 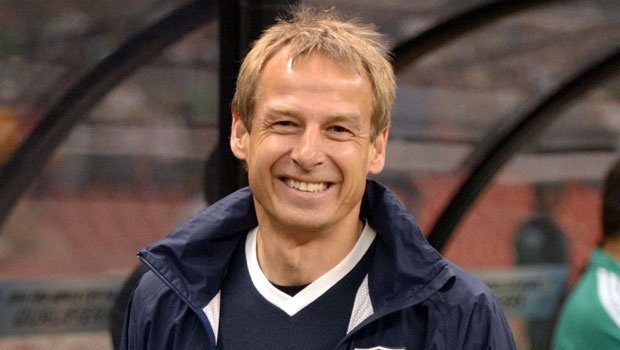 Retired German footballer Jürgen Klinsmann currently serves as the head coach of the United States national soccer team. He was a leading member of the West German team that won the FIFA World Cup in 1990 and also the 1996 UEFA European Championship. Jürgen Klinsmann participated in the FIFA World Cup three times in his active football career in 1990, 1994 and 1998 as a key member of the German national football squad. He scored 11 goals in 17 World Cup matches he ever participated as a member of the German football team and is inducted in the seventh place in our list of 10 Footballers with Most Goals in FIFA World Cup. Klinsmann has a superb average of 0.65 goals per world cup match in his active football career. Former Hungarian footballer Sándor Péter Kocsis played for several clubs in his active footballing career which includes Ferencváros TC, Budapest Honvéd, Young Fellows Zürich and FC Barcelona. 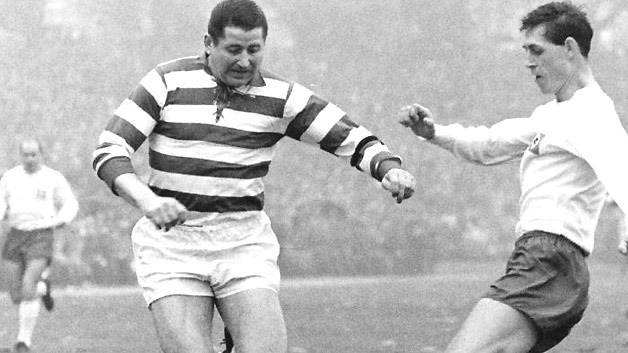 He is the member of the “Mighty Magyars” besides Ferenc Puskás, Zoltán Czibor, József Bozsik and Nándor Hidegkuti. 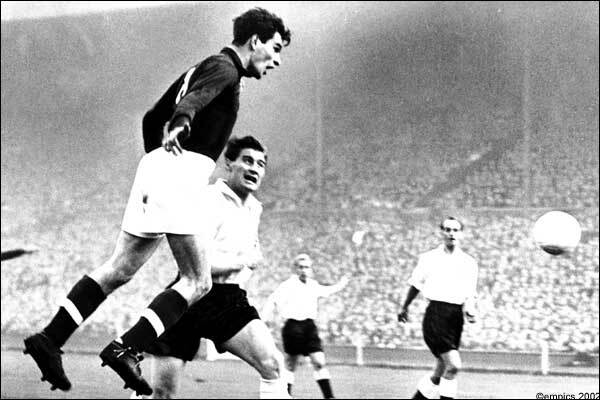 Sándor Kocsis participated in the FIFA World Cup just once in his active football career in 1954 as a key member of the Hungarian national football squad. He scored 11 goals in just 5 World Cup matches he ever participated as a member of the Hungary football team and is inducted in the sixth place in our list of 10 Footballers with Most Goals in FIFA World Cup. Sándor Kocsis has a superior average of 2.20 goals per world cup match in his active football career. Retired Brazilian footballer Edson Arantes do Nascimento, famously known as Pelé, is widely regarded as the greatest soccer player of all time. The International Federation of Football History & Statistics voted him as the World Player of the Century in 1999. He was also named the Football Player of the Century by former Ballon d’Or winners on the same year. 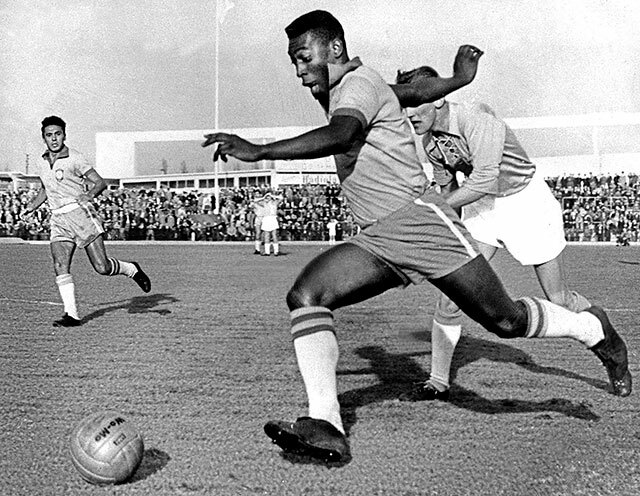 Pelé participated in the FIFA World Cup four times in his active football career in 1958, 1962, 1966 and 1970 as a key member of the Brazilian national football squad. He scored 12 goals in 14 World Cup matches he ever participated as a member of the Brazilian football team and is inducted in the fifth place in our list of 10 Footballers with Most Goals in FIFA World Cup. Pelé has an amazing average of 0.86 goals per world cup match in his active football career. Retired French football player Just “Justo” Fontaine is widely regarded as one of the greatest goalscorers ever and was named among the 125 Greatest Living Footballers by Pelé at the FIFA Awards Ceremony in 2004. He holds the record for highest number of goals scored in a single FIFA World Cup. 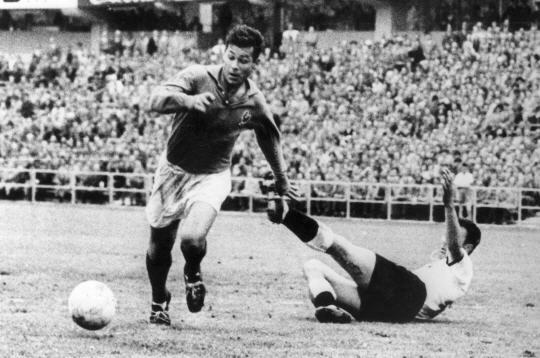 Just Fontaine participated in the FIFA World Cup just once in his active football career in 1958 as a key member of the French national football squad. He scored 13 goals in 6 World Cup matches he ever participated as a member of the France football team and is inducted in the fourth place in our list of 10 Footballers with Most Goals in FIFA World Cup. Fontaine has a superior average of 2.17 goals per world cup match in his active football career. Retired German footballer Gerhard “Gerd” Müller is widely regarded as one of the greatest goalscorers of all time and is noted for his clinical finishes inside the penalty box. 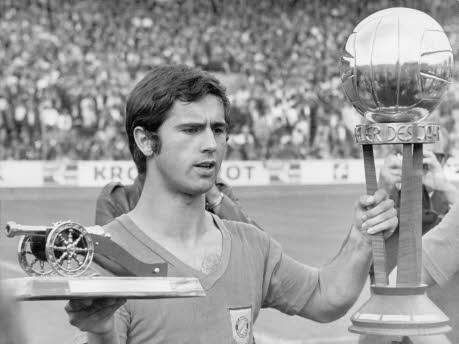 He scored 68 goals in 62 appearances for the West Germany besides scoring 365 goals in 427 Bundesliga matches for the Bayern Munich. Gerd Müller participated in the FIFA World Cup twice in his active football career in 1970 and 1974 as a key member of the West German national football squad. He scored 14 goals in 13 World Cup matches he ever participated as a member of the West Germany football team and is inducted in the third place in our list of 10 Footballers with Most Goals in FIFA World Cup. Müller has a superb average of 1.08 goals per world cup match in his active football career. Retired Brazilian footballer Ronaldo Luís Nazário de Lima is widely considered as one of the greatest football players of all time. He is one of the only four footballers to achieve the FIFA World Player of the Year award three times or more. He also won the Ballon d’Or twice in 1997 and in 2002. 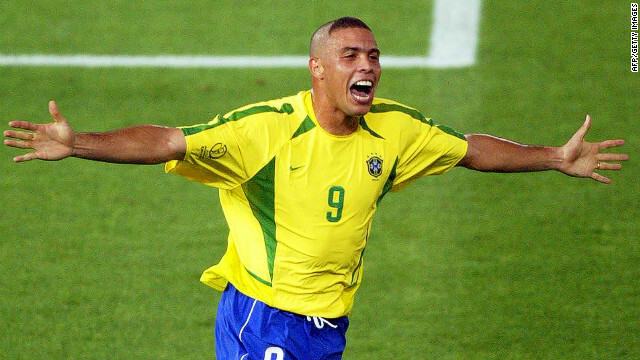 Ronaldo participated in the FIFA World Cup four times till now in 1994, 1998, 2002 and 2006 as a key member of the Brazilian national football squad. He scored 15 goals in 19 World Cup matches he ever participated as a member of the Brazil football team and is inducted in the second place in our list of 10 Footballers with Most Goals in FIFA World Cup. Ronaldo has a superb average of 0.79 goals per world cup match in his active football career. German professional footballer Miroslav Josef Klose plays as a striker for Serie A club Lazio besides playing for the german team. He played for FC 08 Homburg, Kaiserslautern, Werder Bremen and Bayern Munich, and won two league titles with Bayern and cup competitions with his current club Lazio. Miroslav Klose participated in the FIFA World Cup four times till now in 2002, 2006, 2010 and 2014 as a key member of the German national football squad. He scored 16 goals in 24 World Cup matches he ever participated as a member of the German football team and is inducted in the top place in our list of 10 Footballers with Most Goals in FIFA World Cup. 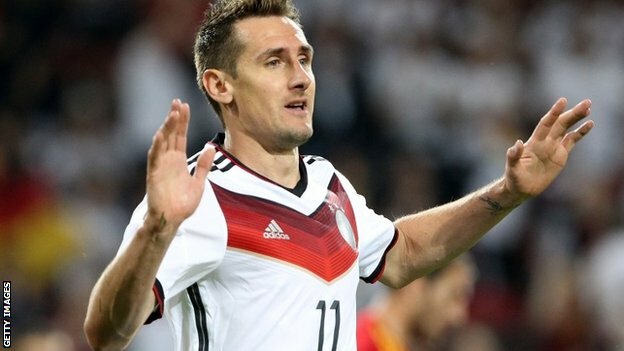 Klose has a superb average of 0.67 goals per world cup match in his active football career. The FIFA World Cup returns every four years, and fans wait with bated breath to watch their favourite players score some excellent goals. Not all players are lucky enough be the feet that kick World Cup goals, even if they are the most talented on the team. But those who do manage to score the goals, are forever celebrated.